I read Rebecca Kanner’s books earlier this year to prepare for this event and wow – Ms. Kanner takes history and provides a fictional translation that’s compelling and makes you feel like you’ve taken a magical carpet ride to Biblical times. I am thrilled and honored (and am really going to TRY to not fan girl) to be the moderator for this event on Saturday, September 8th at the Edina Art Center. 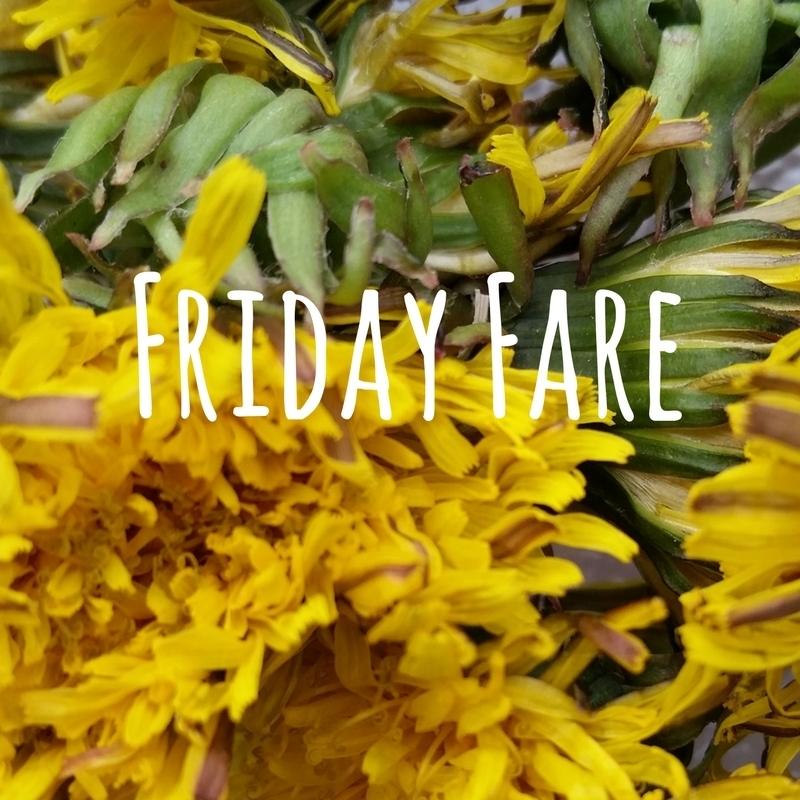 Live in (or are within driving distance) of the Twin Cities? Join us – I’ve heard rumor of coffee and treats. 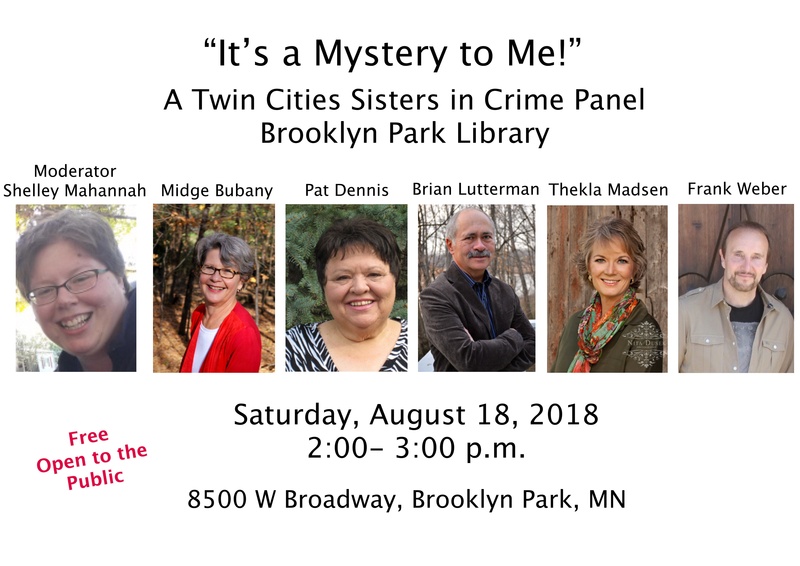 Just a reminder that I’ll be with my fellow Twin Cities Sisters in Crime on Saturday in Brooklyn Park. If you’re in the Twin Cities, come on out! Reading: Finished Alison Goodman’s “Dark Days Club” and immediately read “Dark Days Pact.” Also read “Angry Nurse” co-written by one of my Twin Cities Sisters in Crime members, Thekla Madsen. Also finished Sherry Thomas’s “Conspiracy in Belgravia.” Reading … apparently it’s feast or famine for me. And right now, I’m glutting. Sweet, sweet gluttony. Writing Life: As I stated last week … I’m taking a writing break, letting my current draft version marinate while I do a bunch of reading. I’ve been beta reading for some friends this month and appreciate the opportunity to help out my fellow writer friends. I think I basically said last week that it isn’t soup weather, but that didn’t stop me from hauling out my crock pot and making this broccoli and cheese soup. Because … soup! I have a ridiculous amount of books in my office, on my bookshelves, in my bedroom … you get the picture. But I do keep buying books. So, it’s good to know that there’s a word for folks who buy more books than they could ever humanly read. This article was damn near effervescent with its good news. Give a read about the Caledonian Pipe Band and their debut at Red Rocks! Listening: Sunday was my second time seeing Nashville songstress Margo Price. And although it was in the rain, man, it was worth it. I think I have this video queued up at the 33 minute mark, but if I haven’t – well, you should watch the whole thing, but about halfway through Ms. Price does a cover of Tom Petty’s “Mary Jane’s Last Dance.” Covers are typically sacrilege, but I could listen to Margo Price sing this over and over again. Reading: Finished Frank Weber’s “Murder Book.” Re-reading Alison Goodman’s “Dark Days Club” (because I own the hardback version of “Dark Days Pact” and I need to re-read the first book before I can move onto the second one. Did you see the link above that talked about buying more books than I have time to read?). Got a note from my library that Sherry Thomas’s second “Lady Sherlock” books is waiting for me. I’m living the reading life, babies! Writing Life: Reading break! Along with the pile ‘o books that I’m getting through, I’ve been beta reading for some friends this month and am LOVING the opportunity to help out my fellow writer friends. If you’re in the Twin Cities – come see us! Lori Rader-Day is a joy and one hell of a good writer. She’s also the past president of Mystery Writers of America-Midwest Chapter, one of the organizers of Murder & Mayhem in Chicago, and has won the Mary Higgins Clark award. So … yeah. She’s a peach. I really appreciated this recent blog post about the power of one word: Yes. It’s a philosophy that’s served me well and to hear someone I admire affirm this? Golden. Finally – it’s August in Minnesota. This typically means sweltering weather and mosquitoes the size of saucers, but it’s been unseasonably cool recently. And that makes me crave soup. And if you put “crack” in the title of any recipe, that’s my personal click bait. Here’s some crack chicken noodle soup. It will be coming to my household soon. Listening: I’m not sure what my favorite part is, Sting’s outfit or Springsteen’s mullet, but this was a fun find on YouTube. Reading: I’m going to be moderating a panel in Brooklyn Park this month. As preparation for moderating, I try to read the books written by the authors I’ll be chatting with. This week, I’m reading Frank Weber’s “Murder Book.” I’m liking the way that Weber weaves together fiction and real-life events / locations. I also recently finished a pair of stellar books. One of them was written by my friend (and fellow Mystery Writers of America-Midwest member) J. Michael Major. “One Man’s Castle” was a stellar debut novel. I also had the opportunity to meet and listen to Sherry Thomas at the Romance Writers of America (RWA) conference and was intrigued by the premise of her Lady Sherlock series … what if Sherlock Holmes was an alias? What if it was a moniker for a precocious young woman named Charlotte Holmes? I read “A Study in Scarlet Women” on my way home from Denver and could not put it down. I’m looking forward to reading more of these books. Writing Life: I made my July 18th goal, but if I’m honest with you, the last few chapters were a rush to the finish to hit my deadline. This week, I’ve been going through the last handful of chapters to give them another close read before I let my main characters rest for a month. August is going to be a month of reading – for pleasure, for other writers … I’m looking forward to it!